Technical Analysis Course -Shares swing up and down due to demand and supply hence huge money transactions takes place every day. Investing in the stock market is one of the best ways to make huge profits. But if done wrong, it can also be the fastest way to lose money! Profitable stock market returns are usually a result of stringent research on the stock market dynamics, years of expertise, and a well planned strategy. It is advised that no matter how enticing and easy share trading could seem to the amateur investor, there is a need to acquire a certain level of knowledge and technicality to actually make any profits. In addition to the complexity of this process, there is also the added convenience (or inconvenience to the newbie) of a variety of trading platforms where one can participate. However, even for the most seasoned of traders, there is the need for complete awareness of the risk involved and a need to learn stock market movements continuously. You will learn tactics to help you dodge risks and reduce the damaging effects of risks that could hamper your otherwise smooth financial growth. You will be prepared to face the rise and fall of the stock market and be able to build around your existing strategies to accommodate these variables. You can be more confident in picking different types of stocks to trade and help you be a flexible trader. Surely, you must have heard of the unpredictable behaviour of the stock market, yet this is one of the best ways to make your money work instead of you working towards a secure financial future! Here are some reasons as to why you should be investing in stock market. Investing in a piece of land or any other conventional methods of growing your financial assets require you to fork over lakhs of rupees just to make that asset yours. This means that before you even start seeing any financial gain from your investment, you would have to shell in a significant amount, the growth of which depends on the volatile function of the market. Investing in stocks on the other hand does not always require you to spare such a huge amount to reap the benefits. Even with a small amount of savings, you will be able to own at least a share or a fractional share of stock in a company. We have seen the impact of inflation over the years on eroding our purchasing power. In such cases having a fixed income security will not be enough to keep up with the growing prices. Hence your focus should be on what is the real return or the return net of inflation. For example, investing in dividends can help you keep in pace with or even outrun the imminent inflation rates as tangible returns paid by companies keep up with inflation. In fact, if you have invested in a combination of different types of investments, you can to an extent control the stock market volatility. Portfolio diversification can ensure that when one type of stock goes down and other goes up, your wealth does not face a huge downfall. In other words, don't put all your eggs into one basket. 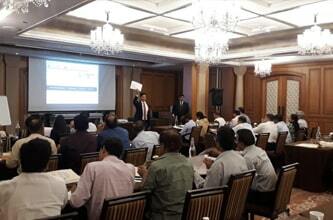 Learn live in the classroom at AryaaMoney professional workshop. You get to access all the state-of-the-art technology and education material along with practical case studies which is needed to learn on a professional trading platform. The training classes help in identifying high-potential opportunities and at the same time analyse and track market trends. The instructors are professional traders who are expert teachers. Also being in a community of learning and learnt traders you will enjoy and share your goal of financial success with stock trading and investing. All your queries and doubts regarding the workings of the stock market ends here as you have got one of India's top investment advisor to guide you by your side! Additionally, at Aryaamoney, we offer technical analysis course, share market training and share market classes in Pune where you can get an inside scoop of the workings of the stock market. Aryaamoney offers professional training, providing you with relevant material to refer to and learn. No matter what your educational or occupational background is, if you have a keen interest in investment in share market, we are your best bet! Our experts will patiently listen to your queries and guide you through each and every concept of the stock market, ensuring that you understand the stock market lingo and the golden rules of investment. If you are an intellectual looking to get some directions towards better decision making, then your search ends at Aryaamoney! We are a team of professionals offering you the most safeguarded secrets on the best shares to buy in addition to providing you with share market tips and stock recommendations. We hold seminars all throughout the nation regularly wirth the sole aim to educate and guide those who are interested in the share market or for those who are experts looking for some disruptive information. 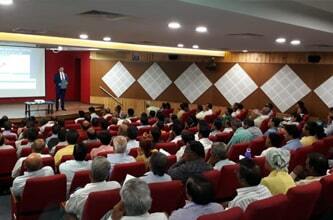 Our super interactive, engaging and lively seminars ensure that everyone present have a gala time learning about the ways of the stock market! In addition to our seminars and training classes, we also conduct Professional Trader's workshop for those who need a more one-on-one discussion with the expert. Queries like the current state of the stock market, your next move, trade scripts, etc will be attended to at this workshop. This is a highly motivating and engaging feature of Aryaamoney's activities and also one of our best known services. Learn to trade and invest in stocks with the guidance and instruction from the professionals at Aryaa Money, where we offer the best stock market courses. Our stock trading course provides an overall learning experience on how to analyze stocks with trends and trade accordingly in those stocks and how to invest in the stock market using professional level strategies and skills regardless of trading and experience style. Start with your stock education right away and choose from the course we offer and learn stock market. 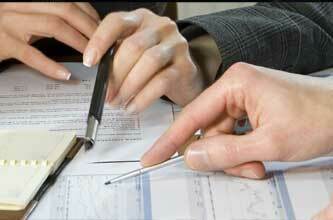 After successful completion of course move to an advanced stock trading courses which can prove to be beneficial. Aryaa Money PVT LTD is founded to transform common investor in to an intelligent investor through valuable financial advisory services. With our professional guidance, we aim to help amateurs and experts alike to become smart investors who are highly vigilant and able to make huge returns on the investments. Our courses are aimed towards the individual investors or traders, novices and experienced who wish to use the tools and technologies that are at par with those used by professional traders on Wall Street. Our course offers comprehensive knowledge and practical activities covering a variety of topics such as technical analysis course, trading fundamentals, risk analysis and managements and the skills of execution for any type of trading instruments. Aryaa Money PVT LTD is Investment consultancy and Training Institute engaged in Stock, Commodity, Forex market trading, training and consultancy services. 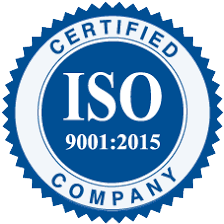 Aryaa Money PVT LTD : Trading & Training Institute Is ISO 9001:2015 Certified ISO 9001:2015 is a globally perceived standard for Quality Management Systems (QMS). I have attended one of Aryaamoney's free seminars in Pune. Before attending I was going back and forth with my decision to enter into the stock market. However, Mr.Bhuushan Godbole is an excellent guide on explaining even most complicated concepts of the stock market. I immediately signed up for their share market classes in Pune where I received information on the best shares to buy for investment in share market. Would recommend Aryaamoney to anyone who is interested in stepping into the share market. One of the best share market classes. Brilliant trading and investment strategies. Doesn't matter if you are a beginner or an expert. The way they deeply involve you in the sessions will make you a smart investor. The atmosphere itself was so lively and I have to thank Bhuushan Sir for his admirable knowledge of the stock market. Very helpful and very eye opening. Trader's workshop is a must attend if you are an investor looking to gain some inside knowledge of the stock market dynamics. I had an amazing experience learning and understanding the complexities of the market via the technical analysis course and all my queries were heeded to and attended to with precision and clarity. Great work! Very nice experience. The instruments and tools they use for training are as good as the international trading scenario. They also provide you with sensible and up to date stock tips and stock recommendations. As a beginner wanting to get into the stock market scene, i found a lot of other classes a bit too complex for my taste. 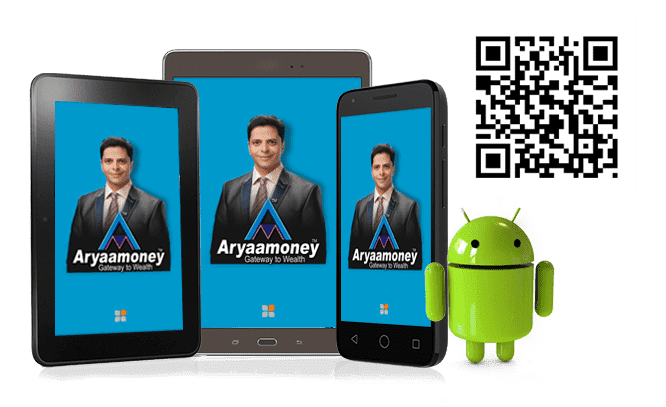 However, Aryaamoney team takes the patience to first understand how much of the fundamental basics every trainee knows and customizes their share market tutorials accordingly. This personalized attention is a commendable action and extremely necessary to get novices interested and deeply involved. I attended their trader's workshop and it was one of the most interactive and engaging workshops ever! The sheer energy in there was tremendously motivating. Bhuushan Godbole is a true expert and at the same time extremely understanding. Each and every query of ours was answered with a concrete solution/recommendation and it's really a valuable activity to do if you want to be an expert or if you want to learn stock market dynamics. From basics to the most complicated technical aspects, their classes take a comprehensive approach when it comes to their share market training. Truly enlightening and a must go event. Bhuushan Sir's seminars are what got me into their share market courses in the first place and i must say that no matter how technical, their use of simple language and ability to explain complex functions to the lay man is exceptional! First time I actually enjoyed a share market class. Hands down the best choice for stock market training.